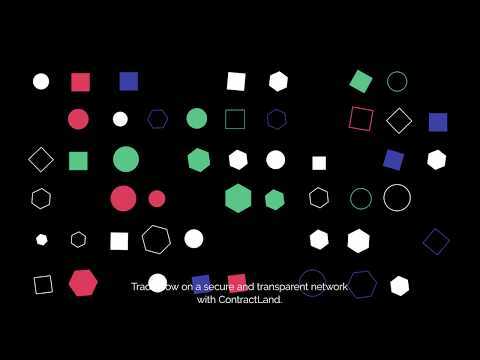 ContractLand is an application specific blockchain built for decentralized exchange across an internet of blockchain ecosystem. ContractLand's first product Terra chain, a high performing (>3000TPS) blockchain specifically designed for DEX, which is powered by our own cross-chain protocol Terra-Bridge. Differing from other existing DEX, Terra-Chain is supported by on-chain order matching system. In other words, all the exchanges in Terra-chain ecosystem are sharing a universal depth of market. Terra-chain can easily integrate with any other Dapp. ContractLand is an asset tokenization, exchange, and management platform to enable businesses and end-users in the decentralized ecosystem of web 3.0. The platform is built on top of Terra-Chain; an Application Specific Blockchain (ASB) built for scalable and interoperable transactions, enabling the liquidity of tokenized assets across an internet of blockchain ecosystem. Design platform and DEX infrastructure. Private Alpha on Ethereum Testnet. Open Beta on Gaia Testnet. Link Terra-Bridge between Rinkey and Gaia. DEX deployed on Gaia for public testing. Link Terra-Bridge between Ethereum mainnet and Terra-Chain mainnet. Deploy DEX on Terra-Chain mainnet for public trading. Enable Terra-Bridge connection to all major public chains. Deploy asset tokenization protocol on Terra-Chain, enabling chain agnostic tokenized assets.